The warm waters and mild Mediterranean climate have attracted European travellers to the Canary Islands for decades. Each of these islands have their differences and the forces of nature have formed many stunning sights for all of us to enjoy. Tenerife is home to many of nature’s creations. The landscape of the island was formed by massive volcanic eruptions and some of these awe-inspiring natural wonders hold places on the list of the best natural sights of Spain. 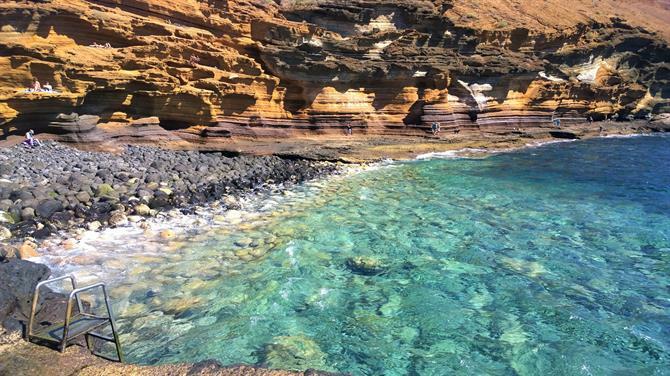 Let us introduce you to six of the most spectacular natural formations of Tenerife. 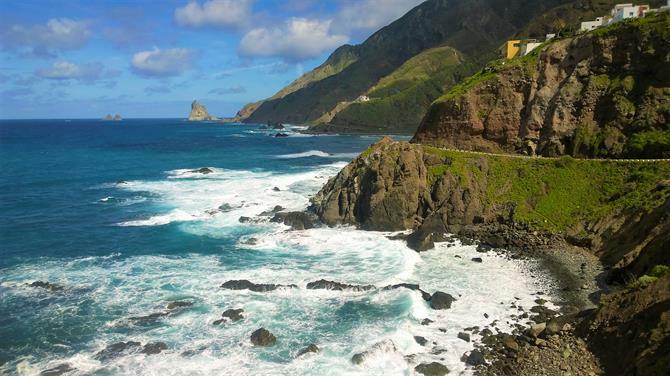 On the northeastern tip of Tenerife you´ll find the oldest part of the island, an amazingly green valley called Anaga. The curvy road from Santa Cruz to Anaga seems like it goes on for eternity, but the landscapes that you pass along the way make it worth the effort. Sublime mountains, deep gorges, green valleys and turquoise sea are simply picture-perfect, as if from a whole other world. Anaga is also one of the best hiking spots on the island. Even the most experienced hikers find that the trails here provide a very rewarding challenge. Anaga’s seven million year old landscape was awarded a UNESCO Biosphere Reserve status in 2015. The atmosphere is enchanting, like something out of a fairy tale. 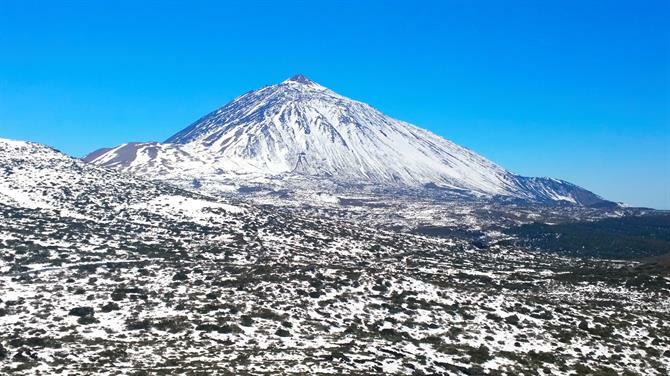 The highest mountain on Spanish territory is also the most popular sight of Tenerife. The volcanic Mount Teide can be seen from almost every part of the island. Imagine enjoying a sunny day at the beach whilst glimpsing the snowy peak of Teide in the background! The landscape surrounding the volcano is surreal and magical. You can visit the volcano by a cable car and there’s also night tours to Teide, where you´ll be given the opportunity to admire the famously clear hemisphere of Tenerife. Los Gigantes (The Giants) was named after the imposing cliffs that rise to a height of 800 metres from the sea right in front of the village. The mountains drop to the sea almost vertically, making them some of the most impressive natural sights on the island. 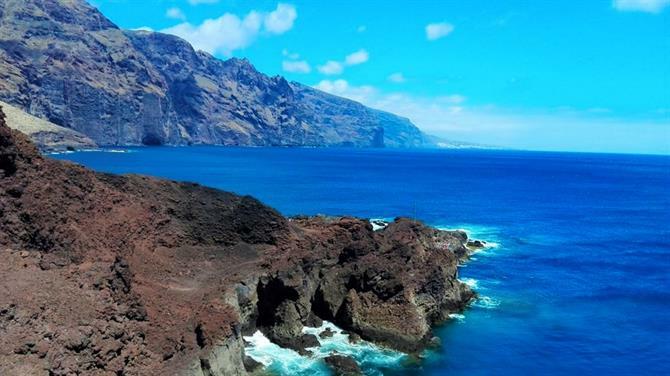 Los Gigantes is also one of the most popular holiday resorts of the island. If you want to get a closer look at the cliffs, you can rent a small speedboat from the harbour of the town where you´ll find beautiful, secluded coves backed by the high cliffs. You can even take a dip in crystal clear waters while admiring the mighty mountain views! 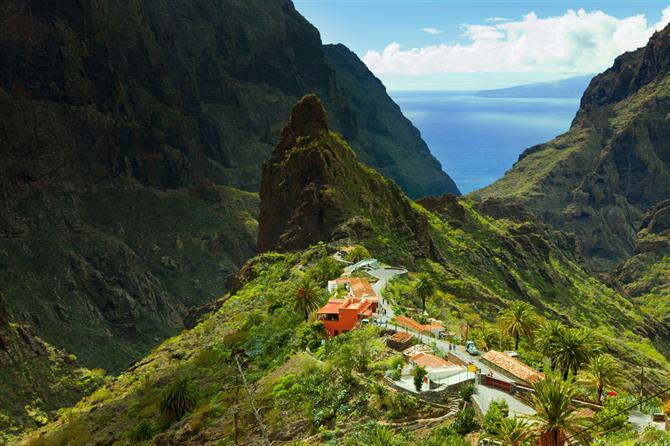 There is a true gem hidden in these remote Los Gigantes mountains: the Masca valley, which is also said to be the most beautiful village on Tenerife. Visitors are normally awe-struck at the striking green beauty of this village in the middle of nowhere. This is the perfect place for anyone keen to get away from it all. Before you could only reach this spot by a donkey-taxi, but today there’s a curvy, narrow road leading to the village. Many operators organise guided tours to Masca daily and it’s by far one of the most popular day trips in Tenerife. Llano de Ucanca is the largest plain on the island and is situated at around 2000 metres above sea level, just a stone’s throw from the Teide volcano. The landscape here resembles Mars and has a special natural charm and magic. Movies such as One Million Years B.C. have been filmed here, taking advantage of these peculiar natural landscapes. There has been a lot of debate around how amazing places like Ucanca were born. The bare plain is probably a natural result of erosion, but another theory is that magma spewed by Mount Teide thousands of years ago created this curious scenery. There is a breathtaking rocky outcrop which has the appearance of a huge cathedral right next to Ucanca. Visitors stop here to take photos of the spectacular Ucanca valley, the rock cathedral and the majestic Mount Teide. One thing which makes Tenerife so special is the various volcanic rock formations which can be found all over the island. Montaña Amarilla (Yellow Mountain) is a fantastic example of a natural landmark created by volcanic activity that’ll leave you breathless. 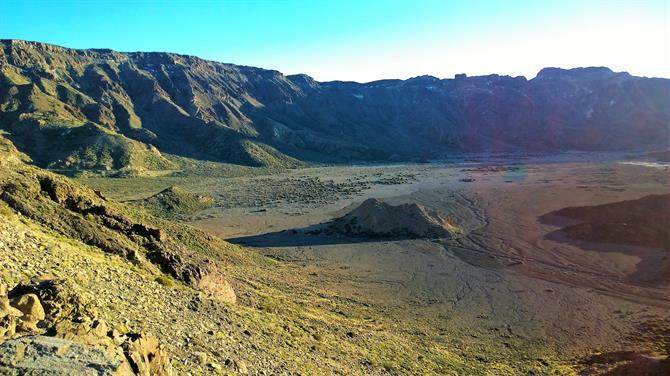 Montaña Amarilla is an old volcanic crater situated on the southern part of the island – Costa del Silencio. When Montaña Amarilla erupted thousands of years ago the lava reacted with the sea water, creating unusual lava formations on the coastal side of the mountain. Later, waves carved their own pieces of art into the yellow wall of the mountain, making the place look extraordinarily beautiful. Nowadays you’ll find a small and charming chiringuito (seafood restaurant) in the sheltered bay and you can enjoy dip in the turquoise waters via a set of man-made ladders. Copyright © 2019 Taxi Star Transfers. All Rights Reserved.